What if there were a violent intruder on campus? Would you know what to do? In mid-May we’re holding a lockdown drill at the New West Campus to show you how to stay safe in such a situation. What will the lockdown drill look like? On the day of the drill there will be signs at campus entry points and extra security guards on site. Prior to the drill there will be an announcement over the PA system to let you know the drill process is about to begin. About one minute later, a lockdown alert will be announced over the PA system and sent via DC Alerts, the College’s emergency communication system. Upon hearing the lockdown alert, you will be instructed to go to the nearest room and lock the door. There will be personnel in open spaces, such as the cafeteria and concourse, to direct you. When the drill is over, you will receive an-all clear message. We’ll advise you of the specific date of the drill closer to the event. 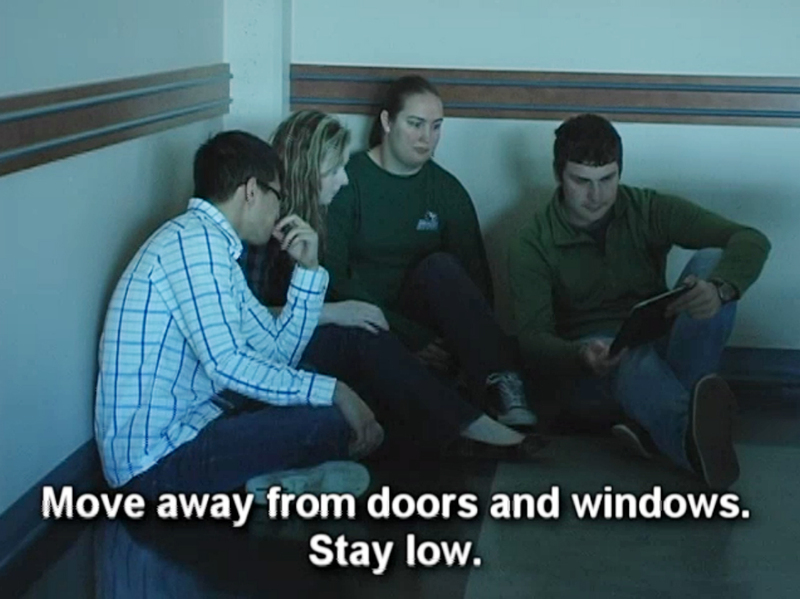 Watch our Lockdown Instructional Video on the Douglas College website. Check out the Lockdown Procedures posted in all classrooms and meeting rooms. Sign up for DC Alerts. If you have any questions, contact Nancy Constable, Director, Safety, Security & Risk Management, at 604 527 5828. The upcoming federal budget is proposing a seismic shift of combining the Canadian International Development Agency with the Department of Foreign Affairs and International Trade. For many Canadians this may seem like a small change. Both agencies deal with Canada’s interests abroad, so why not combine them to increase efficiency and streamline objectives? Part of the objective of combining these agencies is to continue towards a model of Canadian development assistance that is more closely aligned to the private sector. This is part of a trend in many development circles that argue older styles of aid are broken, and that the efficiency of the private sector could help aid initiatives be better implemented. Waste is something that plagues some larger aid organizations. Therefore, a new approach revolving around the efficient mechanisms often applied in business would be most welcome. However, a worrisome development is the equating of these mechanisms and closer private sector partnerships. They are not necessarily the same. An important question that must be asked is what happens when the shine of investment wears off? For me, working in South Sudan, the answer is a matter of life and death. I am currently living and working in Jonglei, South Sudan, with a small NGO that operates a health facility. It is a challenging environment. The area of the country where we work is flooded from May to December, meaning the only movement is by air. Currently we are in the dry season and face small bouts of insecurity and cattle rustling as we continue to do our work. As South Sudan has the highest rate of infant mortality in the world, a major focus of our clinic is maternal health. Usually deaths of infants and mothers are due to complications during birth combined with the inaccessibility of surgical services to perform Caesarian sections. Not far from our health facility, there used to be another hospital that assisted us immensely. It was run as part of a corporate social responsibility project of the oil company ASCOM, based in Moldovia. It had all the relevant maternal health services available, including a fully functional surgical ward. Being only 30 minutes away by vehicle, it served as our referral hospital when we had a mother who was facing complications. However, a year and a half ago it shut down. It was abandoned during insecurity in the region and now sits as a ghost hospital. Eerily, the surgical instruments still sit on tables, boxes of ripped open drugs lay in the store rooms and equipment such as microscopes and sterilizers sit unused. The company had decided that it was not worth the investment to keep the clinic operating. What this means for us, and all mothers living within 200 square kilometres of our clinic, is that the closest referral hospital is now a six-hour drive away over some of the most undesirable roads in the world. During the rainy season these roads are impassable, meaning that even if we can determine that a birth is going to have complications, we have to rely on expensive airlifts or hope we will be able to handle the birth with the facilities and personnel on hand. Whenever I visit this abandoned ASCOM hospital it makes me rethink the private sector debate. While the approach that CIDA has taken over the years in alleviating poverty may have been flawed, we need to proceed with caution when embracing a strategy based around private sector investments. Although some companies may include poverty alleviation as a caveat to their overall strategy in a country, we must ask what happens when investment situations change. How long are their commitments for? What happens when there is insecurity, political unrest, clashes with the local community or the mine is no longer producing? No one would fault a company for leaving in most of these cases. If the investment environment is no longer friendly, it is not the company’s responsibility to stay. However, the problem is children still need to learn, people still get sick and mothers still have complications. Alleviating poverty is not something that shifts with emerging markets. It is something that needs to be addressed with long-term plans, sustainable goals and strong partnerships with committed local partners. While many companies enjoy including the word "sustainable" in the social responsibility sections of their websites, if they are not forced to implement lasting solutions, in the end, the bottom line will always win. 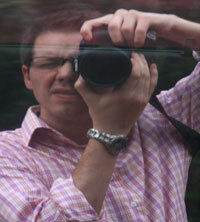 Kristopher Schmitz first went to Africa through a joint program between Douglas College and CIDA. He received his MA from Simon Fraser University’s School for International Studies. He lives and works in South Sudan with the John Dau Foundation. Visit his website and blog at kristopherschmitz.com. 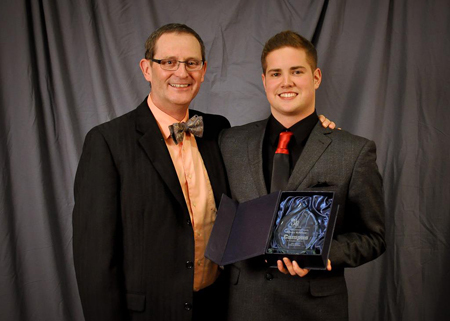 “It is great to see that my involvement on campus is making such a recognizable difference in the Douglas community,” said James Bytelaar, a second-year student in the Environmental Science program and the recipient of the 2013 Douglas College Campus Engagement Award. 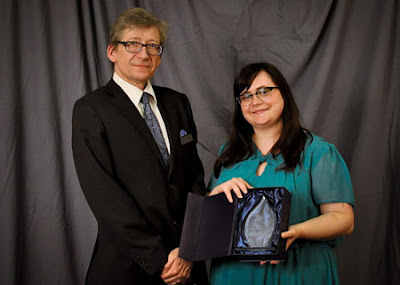 James, along with several other students, were honoured at the second annual Douglas College Student Engagement Awards banquet April 9 at the Executive Plaza Hotel in Coquitlam. Students were recognized for their contributions and achievements in co-curricular volunteerism, campus engagement and leadership that shaped a year full of meaningful change for the College and its community. James played a key role in the 2012 New Student Orientation and the inaugural Mature Student Orientation. He was also a Frosh Leader for Douglife’s new student event in September. In addition, James led the creation of the Haunted House event last Halloween, where over 200 students participated. Finally, he was one of the coordinators for the inaugural talent show Dougie’s Got Talent, where Douglas College students showcased their talent to the College community. Jenelle Davies, a second-year History student and the winner of the Leader of the Year Award, had some inspirational words to share with other students. Jenelle illustrated her willingness to teach during her role as the Women’s Liaison with the Douglas Students’ Union. During her stint, Jenelle co-facilitated a series of large events on campus, including the Sisters in Spirit candle vigil, the National Day of Action Against Violence Against Women and International Women’s Day. Jenelle was also an inspirational and supportive leader for her peers during her Wales Field School experience. ability, one can build a better world” – a better world filled with positive, innovative and vibrant changes. James, Jenelle and all of the outstanding students who contribute endless hours of work to create a better Douglas College community are the catalysts of change. They are the change that help make Douglas College what it is today; a progressive, more vibrant and innovative college. 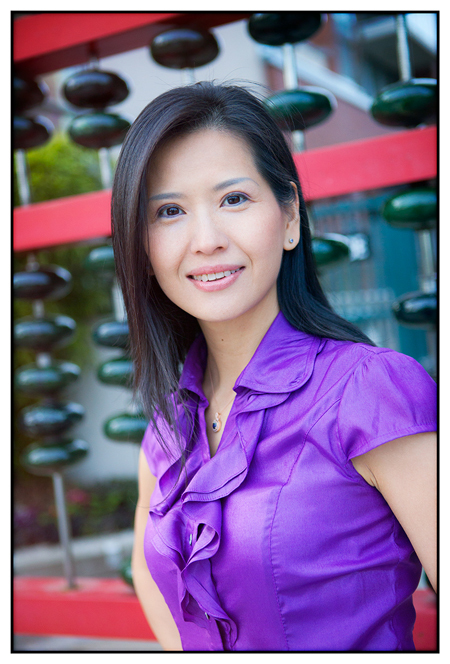 Ruby Lu is what you might call an accounting superstar. Of the 5,000 students pursuing their Certified General Accounting designation in 2011-12, Ruby was one of 104 that made CGA-BC’s honour list. If that weren’t enough, she also finished first in B.C. on her FN2 (Advanced Corporate Finance) exam in 2012. What makes her tick? Read on to meet Ruby and find out. Interested in studying accounting or getting your Bachelor of Business Administration at Douglas? See our website for details or come to an info session May 14 or 16. This week at Douglas: Final exams, a new art show and more! Free information session about the Audio Engineering Program at the Douglas College Community Music School. More info: call 604 527 5469,email or visit our website. 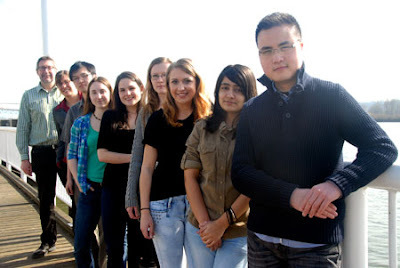 (front to back) Geography students Leon Yee, Ruab Waraich, Anastasiya Shults, Anastassiya Smirnova, Jessica Caharel, Taryn Matich, Jonathan Law are researching pollution and other threats to the Fraser River. Pictured with Shannon King, Education Coordinator at the Fraser River Discovery Centre, and Mike McPhee, Geography Chair at Douglas. It was only recently that Leon Yee, a Douglas College Geography student, learned that fresh water could be in such high demand that "wars could be fought over it" in the future. "If we don't make changes soon, this valuable resource could become so scarce that not only people living in arid conditions would have to worry about how to get it, but those of us living close to large bodies of water would have to as well," he says. Leon is interested in discovering the different ways in which our waters are polluted, and he wants to help educate the public to help create positive change. Now, along with six other Geography students, Leon has his chance. As part of their course work, Leon and classmates Jessica Caharel, Jonathan Law, Taryn Matich, Anastasiya Shults, Ruab Waraich and Anastassiya Smirnova are doing research on storm water run-off and other contaminants to update the Fraser River Discovery Centre's information about the effects of non-point source pollution on the Fraser River. The students' research papers will be used by the Discovery Centre to update their volunteer training materials so that interpreters can provide current examples for visitors when they are using the pollution model. The pollution model is a large, interactive physical model of the Lower Mainland where visitors can place toy cars, houses and animals to create their city. They can then sprinkle various "pollutants" on the city and make it "rain" to discover the pathways and environmental effects pollution has on the Fraser. "It is fun to play with the toys and water at the pollution model," says Shannon King, Education Coordinator at the Fraser River Discovery Centre. "But our enviro-savvy visitors also want to know what the real deal is, and I am grateful that these students are helping update our training resources." Mike McPhee, Chair of the Geography Department at Douglas College and the students' instructor, says this type of experiential learning is invaluable to students in that it allows them to make the connection between their studies and real life. "It's fine to read about these things in textbooks or hear about them in lectures, but now the students are actually seeing how they work, and they have the chance to help prepare educational materials," says McPhee. "It's also a chance for students to give back to the community, as opposed to just turning in a term paper." Taryn Matich, one of the student researchers, says what excites her about this project is that the work is going to be "actually used to educate others." "This kind of real-world experience is important because it gives students a reason to work harder and produce a better paper," she adds. On Student Research Day (March 25), doug spoke with a few students to get the lowdown on their projects. And we've got video to prove it. Check out these short segments, and see what else is happening on Douglas College's YouTube channel. Leyla Khosrovpour, Katelyn Dyck and Pooja Sharma discuss the hidden cost of chocolate, and why buying fair trade is better. Environmental Science students Graeme Lees, Mark Trousdell and Alia Romhanyi discuss their research project, Marine Benthic Diatoms: Comparing Biodiversity between Urban and Pristine Environments. Psychiatric Nursing students Feleku Tadesse, Aklil Biza and Huda Nooh talk about the link between genetics and suicide. Jennifer Pook discusses her research project, The Big Move: The Impact of Moving into Residential Care. She has a list of victories as long as a badminton racket. A five-time provincial and national women's singles champion, a US Open Champion in women’s doubles and a China Cup Champion in women's singles, to name a few. And then there are the accolades. She was named, for the fifth year in a row, Pacific Western Athletic Association Player of the Year, Canadian Collegiate Athletic Association All-Canadian and Douglas College Female Athlete of the Year. And there are more. If you aren’t yet impressed by Royals badminton player RuiLin Huang, there is something else you should know. She accomplished all this while studying full time and learning English. RuiLin hails from Hunan, China. She started playing badminton, which is hugely popular there, professionally, by the age of 10. It was when she neared retirement from the provincial team at 18 that RuiLin was recruited by Royals Head Coach Al Mawani. For her it was the perfect opportunity to keep playing the sport she loved and to study abroad. 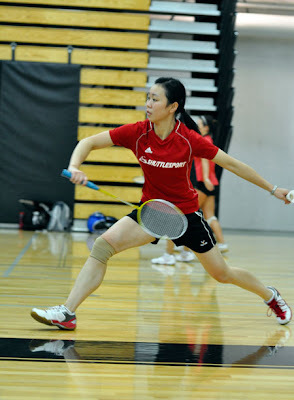 When she moved to Burnaby, she had a bigger challenge than smashing a shuttle over the net: She didn’t speak English. “It was difficult. It was the biggest challenge for me,” says Huang. But she completed the ESL program at Douglas and went on to a business diploma. As proof, she’s just been accepted into the Bachelor of Business Administration program at Douglas. While finishing her studies she plans to stay on with her team as an assistant coach — this was her final year of eligibility to play. While she’s sad to leave the court, she’s certainly ending on a high note. She helped her conference to a team championship — for the fifth year in a row — and then went on to reclaim the women’s singles title at the nationals in Ontario this year. She wraps up her college career with 209 wins and one loss overall. RuiLin has also been an Alberta Open Champion in women's singles and doubles (where she defeated the No.1 ranked Canadian and Olympian Anna Rice), and a BC Open Champion and a two-time Seattle Open Champion in women's singles. She has been recognized as a four-time CCAA Badminton Athlete of the Year and a CCAA Athlete of the Year across all sports. While she credits her coach and the Royals program for much of her success on and off the court, she also recognizes her own hard work. “Obviously, training is the first thing that makes you good,” she says. This week at Douglas: an evening of jazz, a forum on the 2013-14 budget and more! Are you a woman born 1991-1993? If so, you are eligible for a limited, one-time free HPV vaccine. Presented by the Douglas Students' Union. Administered by Safeway pharmacists. Please bring your BC Care Card. NOTE: the HPV vaccine requires three doses. At this clinic first and second doses are available. Interested in attending? Email Deepa at the DSU with your full name, email address, phone number, preferred appt. time and whether this is your first or second HPV vaccination. Apathy is boring - so vote in the upcoming B.C. provincial election! Who will be the next premier of B.C.? - and who will be your next MLA? Have your say in the 40th British Columbia general election May 14. First-time voters can register to vote on the BC Elections website. You'll be asked to enter your personal information, such as your name, date of birth, your driver's licence number or last six digits of your Social Insurance Number, and your address. Registered voters can also update their information on this site. That's pretty much it! It only takes a few minutes, and then you'll be ready to flex your democratic muscles. To register as a voter, visit the BC Elections website. Looking for work? You'll now be able to find on-campus, off-campus, and Co-operative Education work electronically via the web. Off campus – search and apply for positions posted by employers for a variety of jobs. On campus – part-time positions offered by several departments at Douglas. Open to domestic and international students. Co-operative Education - alternate semesters of classroom studies with semesters of paid, full-time employment. Available for specific programs only. 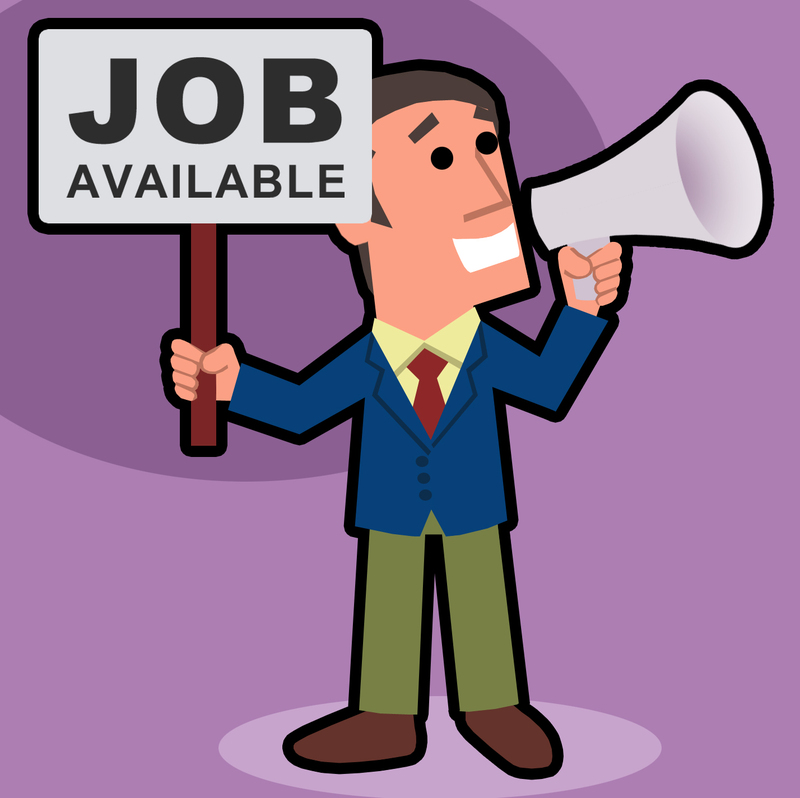 Check out the Student Jobs and Employment page to explore all of your options. Questions? Contact Kyle Baillie, Director, Centre for Campus Life and Athletics.